We have enjoyed and taken full advantage of the beautiful, cool summer weather we have had this year! Maybe it's motivational weather but we have been busy. For us, the arrival of Fall means several things: Our after school art classes crank up, our fall show schedule revs into high speed and Christmas is suddenly on our doorstep! Add to that a travel schedule that takes us all over NC and surrounding states. 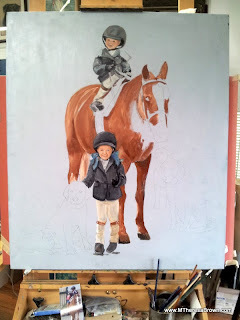 We enjoyed our annual Blowing Rock horse show (SO nice there) and are following up with all the people who asked us to coordinate ideas, photos and trips to paint. Steve's “FARM TOUR” started earlier this summer and he has been busy! He has been setting up dates and schedules to travel to locations to paint the scene of your choice (house, barn, dogs, views, etc.) 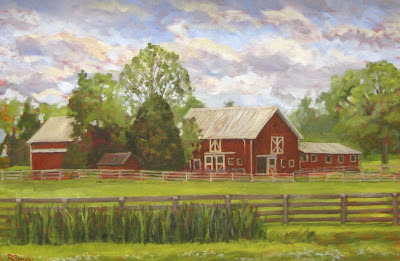 He recently traveled to SC and painted Kiawah River Farm and his collector was delighted. Schedule your painting tour with him by calling him at 919-880-2858. For portrait sessions of your child or horse, give me a call (Theresa) at 919-880-2858. We will be somewhat anchored October and November at the Hunt Horse Complex in Raleigh with the fall series of shows ranging from the Hunter Jumper shows that just ended, through the Duke and Rush shows in November. So we will be found slumped in the art booth at some point during those months and so easy to find. We sponsored a “Paint your Pony” art class at the NCHJA show and had a bunch of kids (and a few adults) pop in for the free event. Donations were accepted for Danny and Ron's Rescue and we raised $60.00 for them! See a few of the results of what the NCHJA youngsters did! 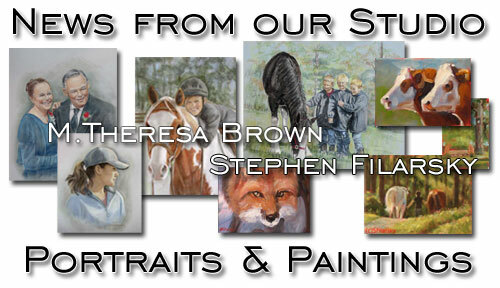 *Enjoy Steve's artwork for the Blowing Rock Charity Horse Show this year! 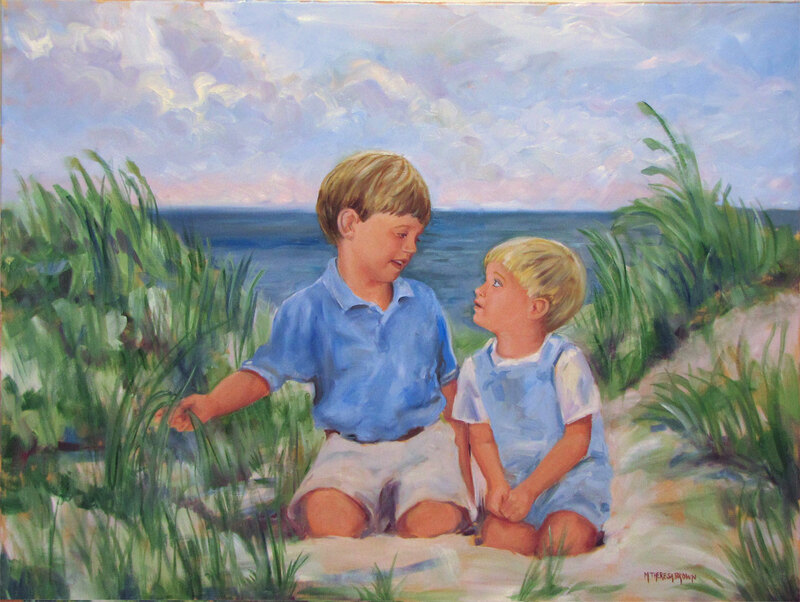 *The large 30 x 40 oil by Theresa, of two small boys at the beach (seen in our May newsletter as a work in progress) is completed, framed and on the happy client's wall! * A few more of the lovely hand painted Silk Scarves in a series of abstract horses galloping across the surfaces by Theresa. 8" x 54" or 8" x 72"
Steve repainted this old oil company sign which now hangs in the garage of the grandson of the original owner. Steve was incredibly busy at the Blowing Rock Show. 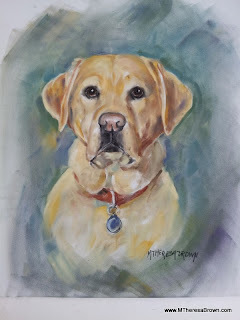 Enjoy viewing a few of his recent paintings from there!